An Iranian lawmaker urged the Foreign Ministry to bring the UAE to the International Court of Justice in The Hague for occupying Ariana and Zarkooh, two Iranian islands in the Persian Gulf. Ariana and Zarkooh are two Iranian Persian Gulf islands under the United Arab Emirates’ occupation. 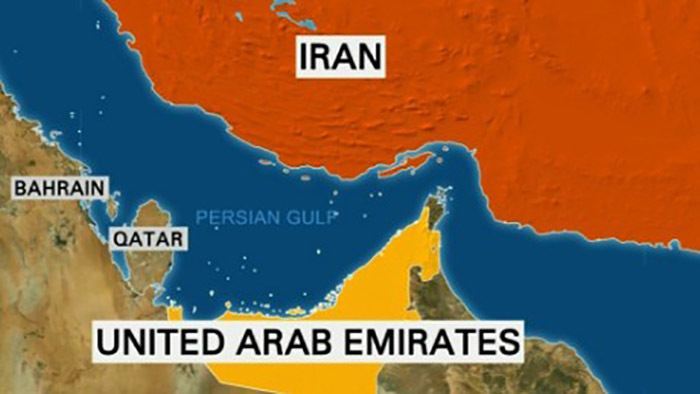 “The UAE has kept repeating its claim over these two islands which have always been inseparable parts of the Islamic Republic of Iran,” Iranian MP Hossein Naqavi Hosseini said. “All historical and international documents prove that these two islands belong to Iran,” he added, according to a Farsi report by ICANA. Referring to the statements made by the UAE authorities, he called for Iranian Foreign Minister’s action against the occupation of Iranian islands by this state. He went on to say that Iran can take the UAE to the International Court of Justice (ICJ) in The Hague, Netherlands, for its illegal claim on Iranian Islands. “Ariana and Zarkooh must be restored to Iran. By occupying them, the UAE has acted against the international laws,” he added.